It’s toxic – You already know that mold can cause serious health problems if it gets inside your home. Although it would take time to spread from the roof to the interior, you should never take a chance when you see mold spots. Our company can help you find a solution to remove the mold or replace any damaged areas. We care about you and your family’s safety and health. It spreads like wildfire – Just like a wildfire, mold can spread quickly in a small amount of time. It can happen even faster for homes that are in damp or moist environments. Treat mold quickly to avoid larger and more expensive roof repairs and cleaning. Wait too long and you may end up having to do a total roofing replacement. It weakens the structure – Over time, mold can break down the structure of your roof by causing the roofing materials to deteriorate over time. Once the structure of your roof has been compromised, mold can creep into the interior of your home and cause more damage – both to your home and your health. 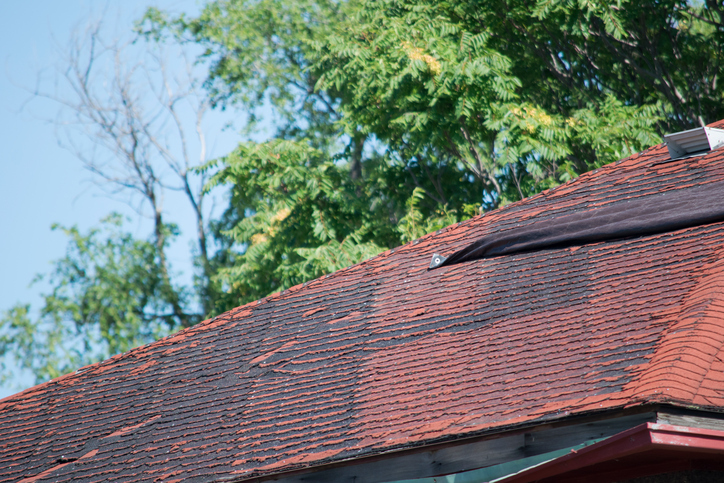 Do you see stains on your roof? It could be mold. Cactus Roofing is a full-service roofing contractor in Saskatoon. We’ll inspect your roof and stop any mold growth. We’ll also perform any roofing repairs or roofing replacement, if needed. Trust our team to take care of your roof and your home!